The plus-size industry in fashion has always been controversial. But, finally, we’re at a time where more and more designer brands are starting to embrace it. Lane Bryant’s campaign “I’m No Angel” brought curvy plus-size women on billboards, magazines, commercials etc. Just this year, Ashley Graham has been reshaping the dialogue of fashion by becoming the first plus-size woman to grace the cover of a Sports Illustrated Swimsuit Issue. So now that plus size women are included – should men be as well? 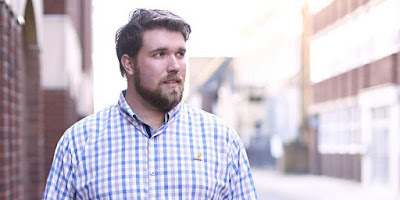 IMG Models seem to think so, by launching their first “plus-size” division and by starting it off with hiring Zach Miko, Target’s first male plus-size model. This isn’t just about fashion. This is about everyone, no matter their gender, seeing that they can wear high end clothes that fit well and feel good in. I’m hesitant on the matter because women have been prone to more body shaming than men and therefore more influenced by the media so maybe men really don’t need to be included in this movement. But if this steers the masses in the direction of less body shaming and more acceptance then I am all for it.